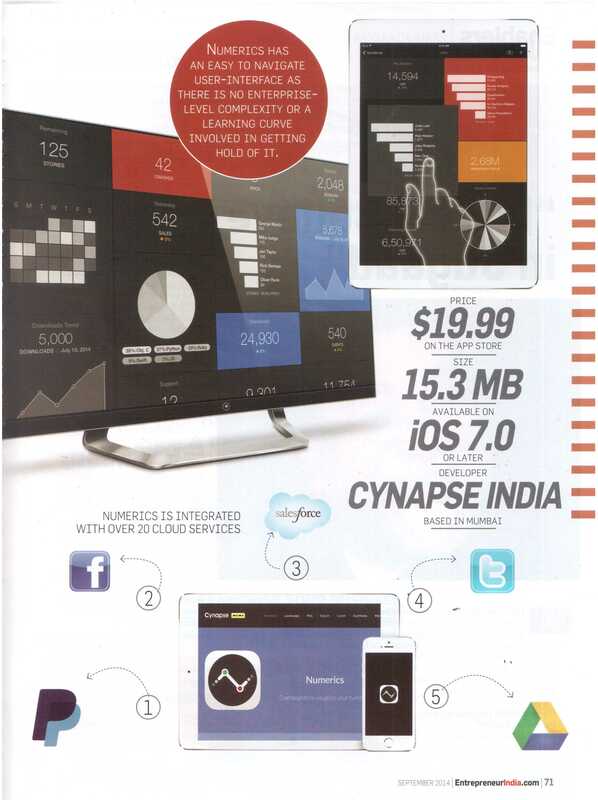 Getting featured in a prominent magazine is always an exciting feeling, and the excitement is heightened when a customer happens to call in to tell you about it. 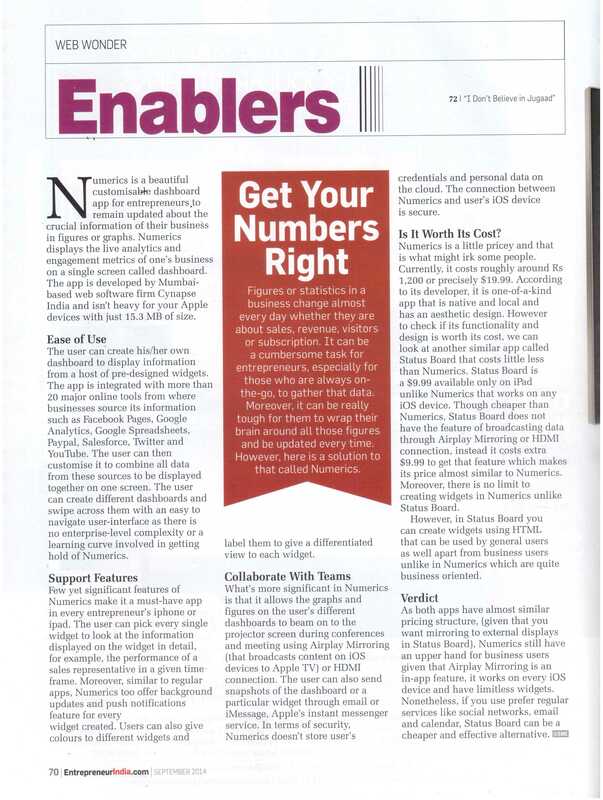 We are thrilled to see Numerics featured in the September issue of the Entrepreneur India magazine. 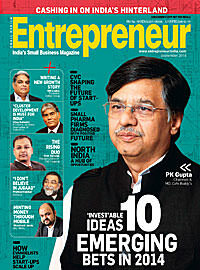 The magazine publishes business knowledge to enable entrepreneurs in India to conquer daily challenges of building a business. The business model has changed since the article was published, Numerics is now available for free on the App Store with premium widgets that are available in packs as a one time restorable purchase and unlimited use. We’ve also added a Custom JSON integration provider enabling you to get valuable data from your custom business software with minimal programming on the business system end.